Join us for a Movie Night on April 6! Join us for a movie night on April 6! The fun starts at 5.30pm with Giant Lawn Games and Live Music with the movie screening from 6.15. 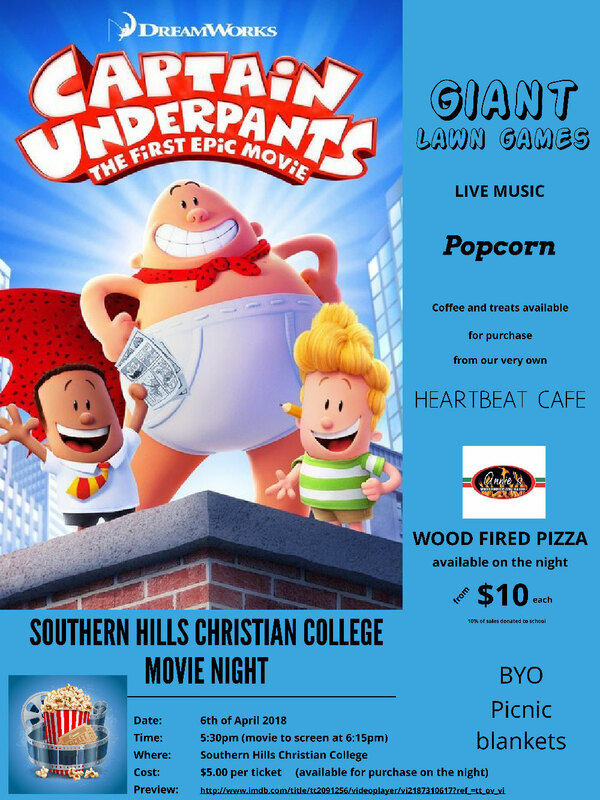 Popcorn, Coffee and Treats, and Wood Fired Pizza available for purchase on the night. Tickets are only $5 - we look forward to seeing you there!